Note: You can only bulk edit issues within a project. There is no bulk edit option at the global issue list dashboard. 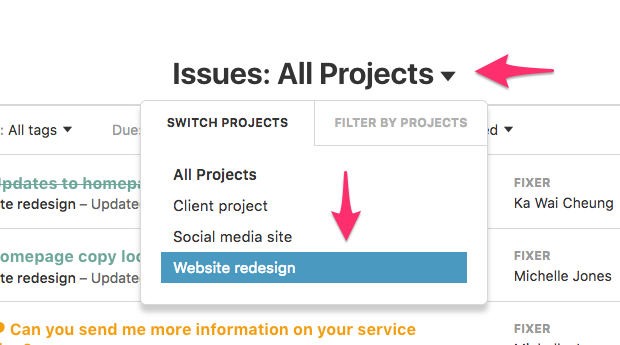 Go to the project's issue list dashboard for the project whose issues you'd like to bulk edit. 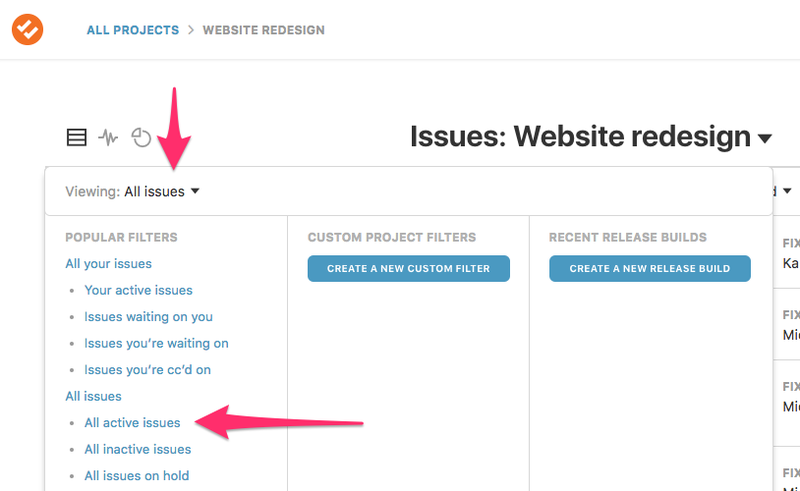 On the project's issue list dashboard, choose a filter that shows all the issues you'd like to bulk edit. For instance, suppose we wanted to change all active issues to a critical priority. First, choose the "All active issues" filter. Next, click the Bulk Edit icon on the far-right. 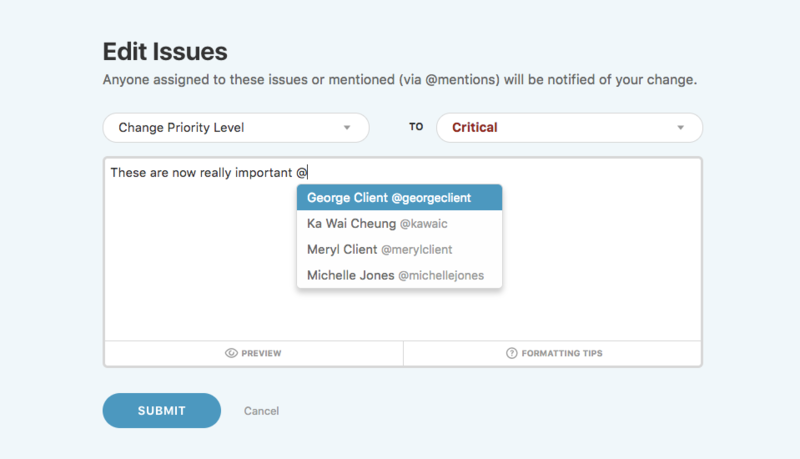 This will change the view of your issues to allow you to select specific issues to edit. You can check the issues you want, or select all the issues from the checkboxes on the left. Once you've selected your issues, scroll to the bottom and choose the action you'd like to make. You can also add a comment. Anyone who is assigned to any of the issues you've selected will be notified via email. You can cc other people using an @-mention. Click the Submit button to complete the bulk edit. Your new updates will appear after you submit!